These hard hitting Full Color Martial Arts Acrylic Trophies fit all of your martial arts awards needs! 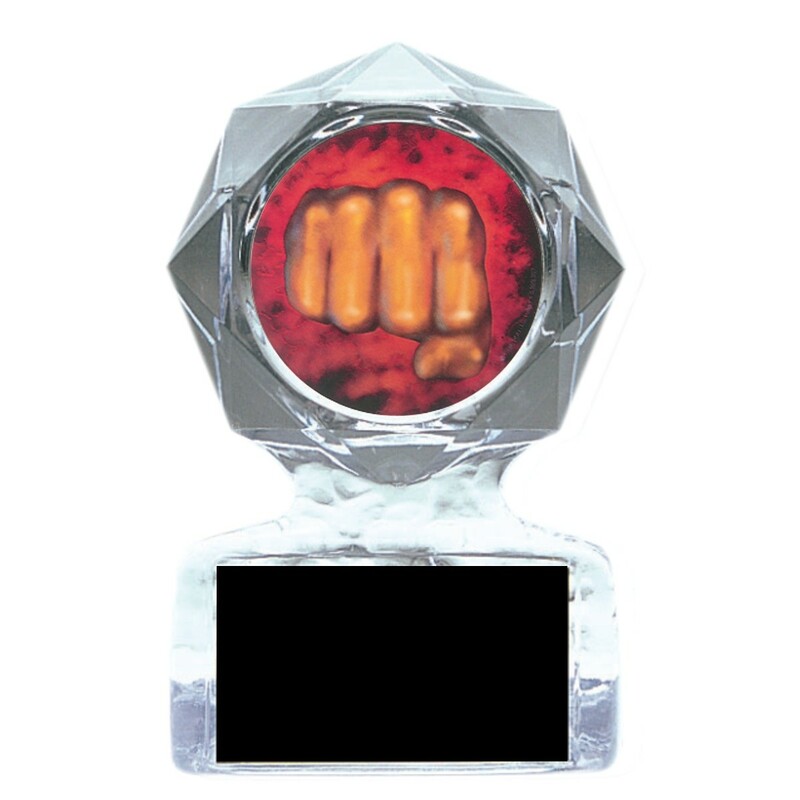 Made of clear acrylic, they feature a full color holographic mylar of a martial arts fist. Price includes 3 lines of engraving on a black brass plate.